In his "Weekly Poker Hand," @JonathanLittle analyzes how a player proceeds with top pair, flush draw. It's top two pair vs. top pair and nut-flush draw in this cash game hand analyzed by @JonathanLittle. 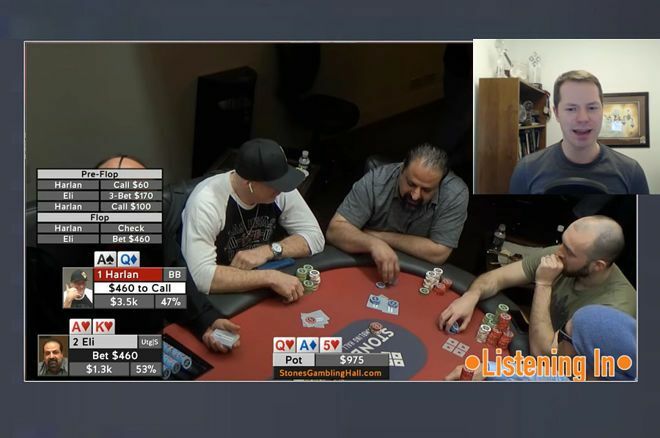 In the episode shown below, Little breaks down another hand from a $5/$10 no-limit hold'em cash game played at Stones Gambling Hall in California. In this hand, three players see a flop that hits all of them, giving one top two pair and the preflop aggressor top pair plus the nut flush draw. It might seem like an easy enough hand for the latter player to play, but as it happens things turn out a little differently.